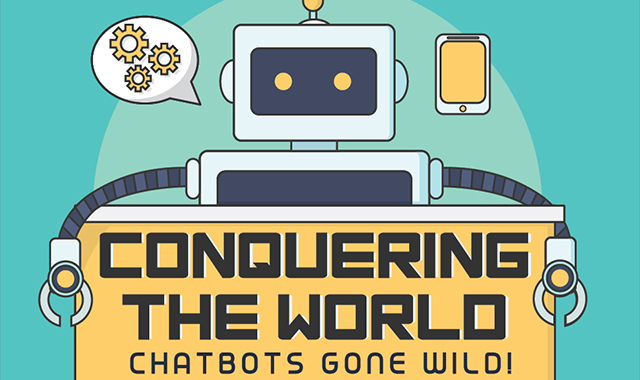 Conquering The World – Chatbots Gone Wild #infographic ~ Visualistan '+g+"
We’re positive you’ll agree that chatbots have become a significant part of our everyday lives. Judging by the market situation today, it seems like chatbots are here to stay. Although chatbots aren’t being used to their full potential, the new millennium has brought a change for the better. Chatbots are finding their place in marketplaces worldwide, and recent results stand behind scientific assumptions that the artificial intelligence is slowly ‘conquering the world.